Savannahs are a result of the hybrid breeding between a domestic cat and an Africa Serval. The breed does not occur naturally in nature. Judy Frank is recognized as the person responsible for bringing the first Savannah kittens into the world. In 1986, she bred her Siamese cat with a Serval and produced the first Savannah kittens. Judy named these lively and playful kittens Savannahs. Patrick Kelly obtained his first Savannah kitten in 1989. Working with Joyce Sroufe, Patrick spent years establishing a breeding program for Savannahs. They produced the hybrid, foundation generations for this new breed. As is typical in foundation generations, only the females are fertile. To be moved from hybrid status to purebred status, a breed must produce fertile males. Joyce Sroufe was the first breeder to produce fertile males, thus expanding the program to other breeders. It was not until 2001 that Savannahs were accepted for registration with TICA as a new experimental breed. By 2006, the breed was established with Savannah Cats being crossbred with other Savannahs to produce SBT or purebred domestic cats. 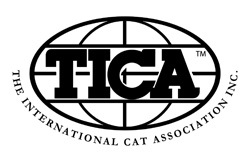 On Jan 29, 2012, due to all the hard work of dedicated breeders, Savannah Cats reached Championship status with the TICA board. The Savannah’s new status was effective May 1, 2012. Though retaining much of the Serval appearance, the personality of Savannahs has taken some of its best qualities from its domestic founders. They are extremely playful and will bond well to the members of its human family. They are extremely curious and do not shy away from new experiences or stimulants. They get along well with other household pets, strangely more so with dogs than other cats. Savannahs seem to have a curious blend of “cat like” and “dog like” qualities. They have extremely good hygiene habits, train easily and are intelligent and friendly animals, at times, following their humans around like a puppy. Savannah pet owners seem to all agree that they make the perfect pet!